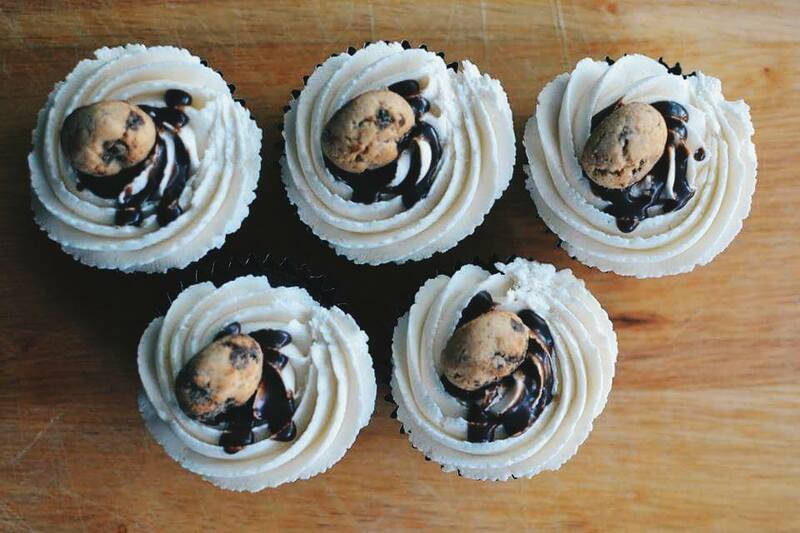 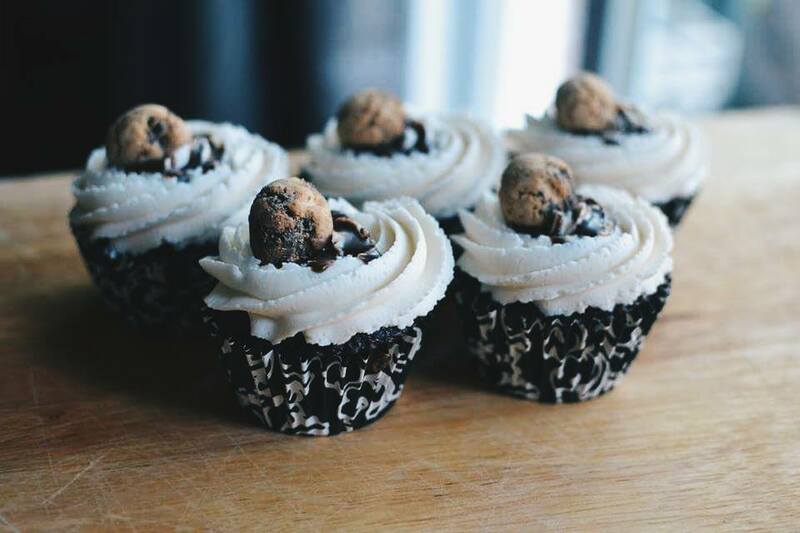 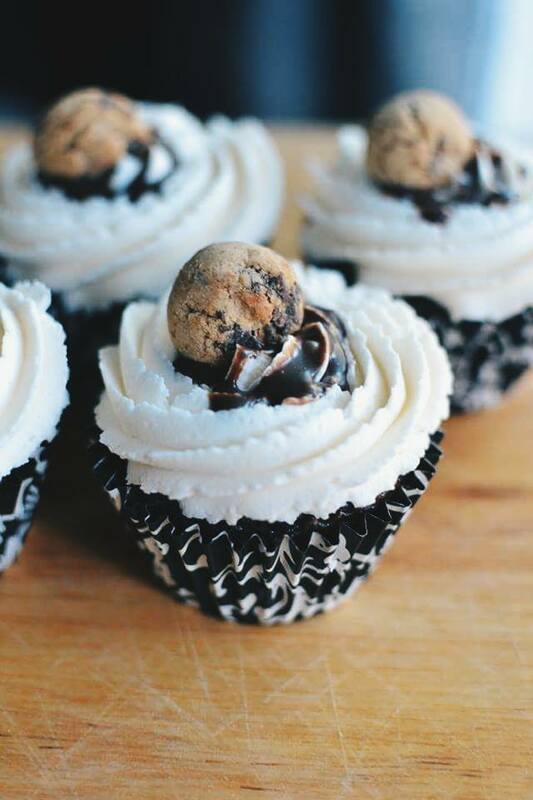 I made these amazing chocolate chip cookie dough cupcakes a while back (for myself just to eat LOL), and recently one of my friends from long ago asked if I could make her some cupcakes for her boyfriend’s birthday. 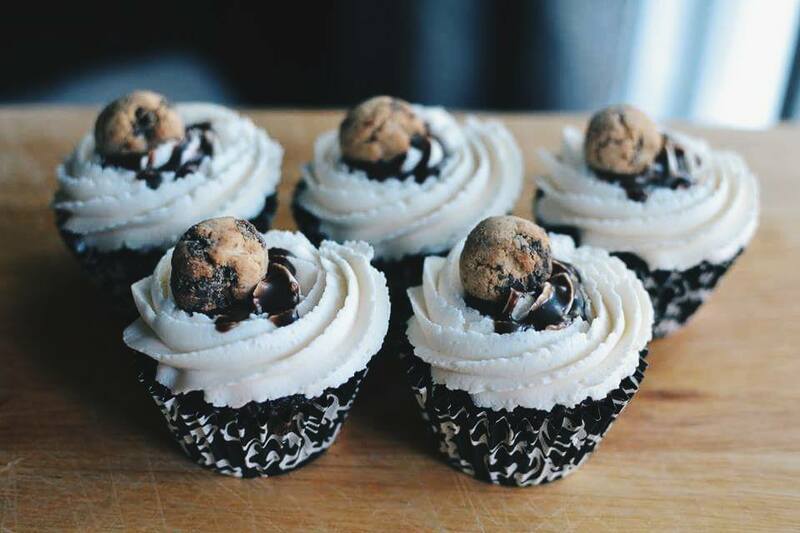 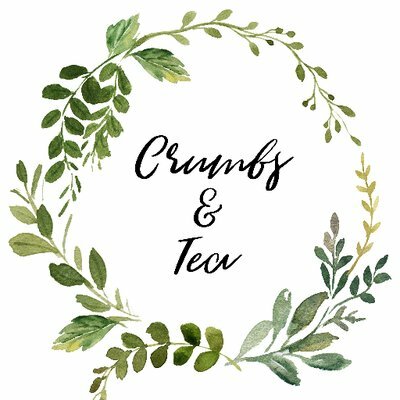 No but seriously, they’re amazing because you have the moist chocolate cupcake, with a ball of chocolate chip cookie dough in the middle and vanilla buttercream on top with a tiny chocolate chip cookie to garnish. 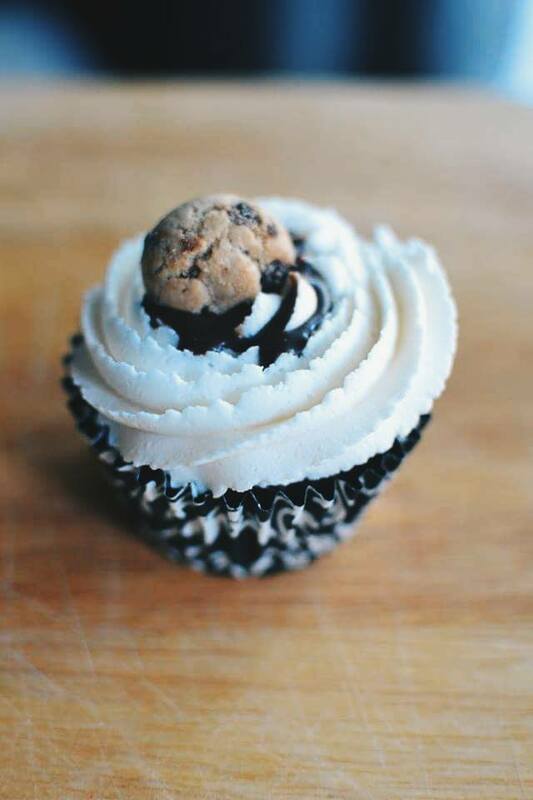 C’mon you can’t go wrong!